Why Your Foreclosure Attorney Just became Your Business Partner. Subject: [New post] Why Your Foreclosure Attorney Just became Your Business Partner. by Neil Garfield > LivingLies Foreclosure Friday Feature: Eric Mains, J.D. Six years ago when I started down the road of defending against a wrongful foreclosure, despite my general legal experience, I was still very naïve about the homeowner foreclosure process. I thought it would be easy enough to find an attorney to represent me and who would understood my case. He would prepare his brief, present my defense to a judge, who of course would immediately see through the defective paperwork, hearsay, etc., and not allow a foreclosure to proceed. Unfortunately, I and many others were wrong about our assumptions. So what is it we are getting wrong? The legal system is not supposed to work this way in practice. Equity, rules of civil procedure, and rules of evidence should be on the courts mind. More importantly, why aren’t there more attorneys in this field with so many clients in need of a good lawyer? By now, those who read Neil’s blog are well familiar with some of the answers, but is worth going over some of the root causes that can prevent a good defense, and what can be done to help structure a more effective one. The judges themselves may have existing prejudices and bias, starting with the judicial selection process itself, and they may also be stockholders of the big banks. e.) The regulators and state BAR’s are not going after banks and their attorneys, instead they are being used to go after the defense attorneys in some cases f.) Bad case law from Pro Se cases making defense harder, and “clients from hell” making foreclosure defense a thankless task for those trying to practice it. So those being part of the causes, what can you do to deal more effectively with them? First, become an effective teammate and partner to your attorney if he has limited resources (office staff, paralegals. etc.) and experience in this field, and you have the ability to aid him. By being an effective partner I DO NOT mean trying to tell him how to do his job as an attorney. You will find very quickly that you are not a favored client by doing so. By partnering with him what I mean is that you can and should try be his support staff to the extent you can. You don’t have to be a lawyer to dig up the pertinent case material and facts, the things you both need to build your case. Help to provide him with facts, research, and case law that can help him to piece together your defense. A good attorney, even if inexperienced in the foreclosure defense arena, can put a good defense or offense together if he is provided the relevant facts, supporting and contradictory evidence, and background to your situation, basically the “storyline” of your case. Second, to do this you need to Organize. 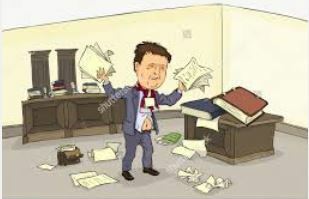 If your attorney is given the above information in an organized format without having to sift through a ton of paperwork, it will save him time, and you money. This may sound like common sense, but unfortunately it is not the norm many attorneys experience. Trust me on one thing, your struggling attorney who is trying to juggle multiple clients, and bang out enough billable hours to keep afloat, does usually not have the time or expertise to go through notes, DOT’s & Mortgages, assignments, default notices, etc., and play “Where is Waldo?” to pick out what is wrong with your case, and locate smoking guns and defects. Most likely he will not even see a lot of these documents prior to discovery, if even then, and that may be too late in the process to effectively help you. So DO help put together all the paperwork from your loan closing, and from any foreclosure actions against you, in a binder for him in order of date. Go to the county recorders office and obtain the filed records as to your property, put them in there too. If you can do so, issue a QWR to your loan servicer. Under RESPA, they are required to respond. Get as much information as you can regarding your loan, it will pay dividends later. Third, if you can’t find all these documents on your own, or your attorney does not know where to locate them, ask for help! There are reputable consulting companies out there who can get you basic chain of title documents for a fee, usually under $500. If you want more detailed documents, and an analysis of what they found, it could cost you $1500-$2000, but this may be well worth it depending on your case. If you want litigation consulting on top of all this as you progress through your case, you may spend $5000 or more, but again, it may be worth it, maybe not, it really depends on YOUR case and its complexity, and the EXPERIENCE of your attorney. Imagine you just saved your attorney 20 billable hours (minimally) by doing the above, at $150-$200 per hour, that just saved you $3000 or more. The money you spend on outside help and consulting may be a wash when compared to the fact that had you NOT sought their help you would have paid your attorney the same amount for his time trying to recreate their work product, and doing it badly in some cases.Bottom line, if you can afford it, use your money intelligently and in a focused manner, don’t just throw money at your attorney and expect the same quality or results, you may not get it. Be informed as to how your money is being spent, and budget it. Fourth, once you have this information, you, your attorney, or your consultant should be playing detective with your case. Who claims to hold the note and DOT? Who did the assignments? When were they supposedly done? Google the information on these entities. I won’t go into detail, as Neil and others have enough advice written on these topics as to what to look for, but find out WHO the players in your case are. Google cases involving these entities, what were the issues noted in those cases? What defense tactics worked, and can they be used in your case? Was any discovery done that could be helpful to your case, depositions, etc.? 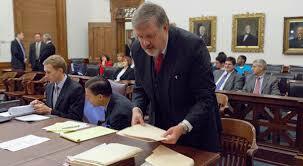 Highlight the rulings in those cases, and see if they are relevant in your State or federal district. Fifth, once you have done this, decide what direction you want to take with your case. Try to keep your home? Potentially let it go and try to sue for damages? File bankruptcy first? You and your attorney may not see eye to eye on these points sometimes. You should both calmly discuss the strategy of your case and plan of attack once you have a good foundation in place, and can make intelligent and informed decisions together. However, if he does not want to pursue a particular strategy after giving his reasons why, you need to either accept his advice, or find other counsel if you believe that based on the facts that your interests are served by taking a different approach. Remember, he generally should know the courts and judges in his district better than you, and it could be his license and reputation on the line in an unfriendly district. Ideally you will have this conversation before you retain him, but sometimes your case is not always clear at the outset or subsequent rulings from other cases may alter case law, so you are forced to revisit the subject. In any event, if you can do the preceding you have just dealt with causation items a-c in a fairly effective manner. I handled my case with my attorney Jon Schulte in much this manner. While we started out on a bumpy road at first, we now have a good system going that works pretty efficiently. An important point to make here is that being smaller in scale and reaching quick consensus can actually exploit the large banks weak points in cases where you are suing/counterclaiming against them. Many articles have pointed out that banks and their attorneys increasingly being found liable for FDCPA claims, and that law firms are also going under due to the pay structure methodology they have arranged with the banks. Many law firms do not get paid until a foreclosure is completed and the house is sold. How happy do you think the law firms getting sued for FDCPA violations are about having to defend their actions on behalf of banks, while at the same time they are not getting paid by them? Wonder if they got an indemnity from the banks for their liability? I actually created a power point for my case as an educational aid in illustrating how pricey it can be to try to foreclose using fraudulent means. It is based on the publicly available information on my case from PACER and from websites…I am sure it is likely to get my hand slapped, however is does help honestly illustrate the above problem in detail with a bit of levity thrown in, as lighthearted as this subject can be that is. Finally, how do you deal with points d-f? This is a bit more complicated, but I would say first, know your venue and your judges. This is invaluable, and your counsel should know what the politics are in the district you plan to bring your case. Become familiar with this and decide where venue may favor your case. Can’t get a fair shake in State court? Maybe it’s time to go federal, or go to the bankruptcy court. Some State courts have made it clear that if opposing counsel and their clients have a pulse, and can hold a note, then they must have standing and can foreclose. It’s not fair, but you deal with what you have, so choose wisely. In my case for example, I knew that the presiding federal judge was a former partner in Bose McKinney & Evans LLP, the law firm I was suing. She went to law school with one of its principals, and had famously quoted in an Indiana magazine, ” There are some cases that we just process, like foreclosures. They don’t require any adjudication, no exercise of judicial discretion.” See, Sustained: Judge Sarah Evans Barker, Megan Fernandez, Indianapolis Monthly, May 15, 2015. So shouldn’t I have sought a recusal, a different judge?, something? Not necessarily. You can’t always pick and choose your judges, and there is no guarantee your next one is going to see things your way either. What matters most is the judge’s reputation among their peers, and their history for being fair minded and impartial in deciding cases. Past ruling are not always a predictor of how they will rule in your case if it is well planned, clear in its points, or presented in a manner that may not have been presented to that judge in the past. By doing that you are also making sure you deal with points e & f as well. So that’s it, be prepared to support your counsel, get organized, and make careful informed choices. Not earth shattering advice, but I hope this column helps drive that simple point home. Author's note: Eric Mains is a former FDIC Bank Regulator.